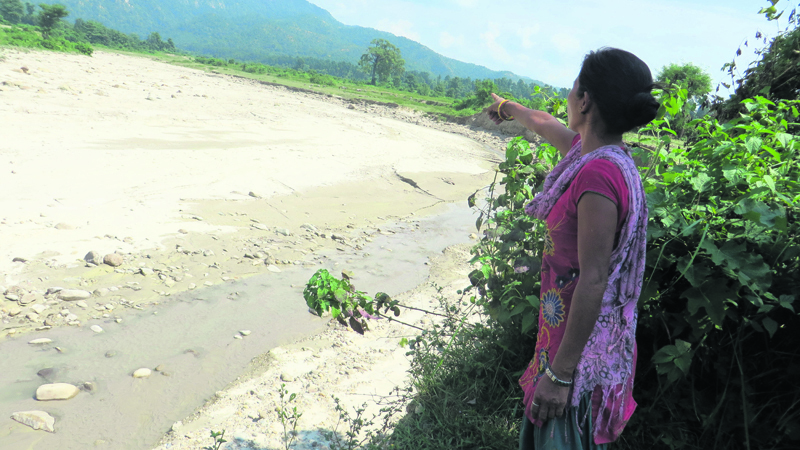 Mithilesh Yadav/Republica A woman in Aurahi, Siraha this week shows the arable land rendered unusable by the Gagan Khola river, which changed its course due to excavations in the Chure range. The Gagan Khola originates from Chure. SIRAHA, Feb 16: Aurahi village in Siraha district used to be known for its agricultural prosperity. That is now just a memory. The once arable lands have turned barren and the village resembles a desert location, with most of the farmland covered in sand. 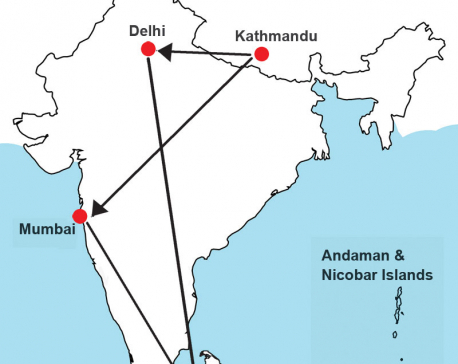 According to Yadav, the river has changed course four times in the last two decades. At present, it flows through the neighboring village of Harkatti, leaving half a dozen villages, including Aurahi and Harkatti vulnerable. "It has deposited sand in hundreds of bigha of arable land, turning everything into desert,” he rued. Experts believe the locals are bearing the brunt of the environmental destruction in the Chure. Forest and wetland expert Dinesh Yadav said the unabated illegal excavation in the Chure is to blame for the waywardness of the Gagan river. He is a local of Tenuwapati, one of the affected villages. “But despite the massive impact of resources extraction in the Chure, the excavations continue unabated and that is a shame,” he said. Meanwhile, the Ghurmi, another river which originates in the Chure, is starting to cause destruction in Chandrodayapur-7. 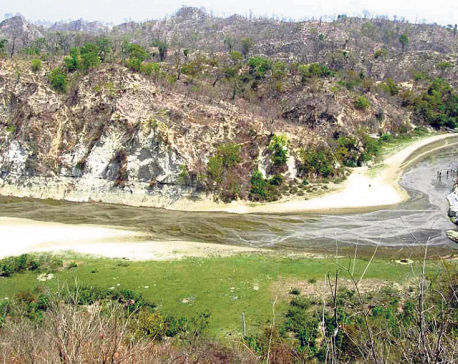 The river is changing its course and heading towards human settlements as the excavation mafia is speeding up its activities, according to Uma Magar, a local. Neighboring Lalpur village is also facing a water crisis. The whole village has been depending on a well for its water since the past three decades. Now that well is also drying up, and the villagers have nowhere else to turn to. 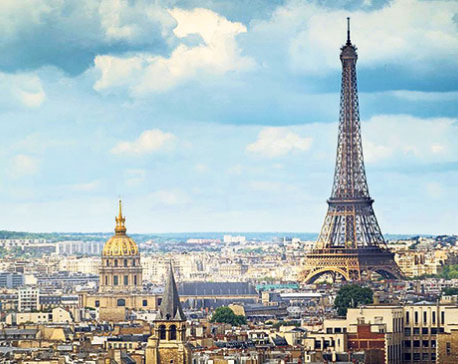 “Not only have we lost our arable land, we have to spend hours in queues to fill water from the well. But we get only a little water to quench the thirst of the whole family. We are helpless and can do nothing but pray,” said Jhaman Lal Yadav, a 60-year-old. Despite the hardship to the villagers caused by Chure destruction, conservation officers themselves are protecting the extraction and mining companies, claimed Siraha-based Chure Conservation Committee. “Although the government has banned excavation of boulders and other resources from the region, such illegal activities take place in broad daylight. But the district forest office (DFO), the authority concerned, has been turning a blind eye,” said Dev Kumar Moktan, general secretary of the committee.